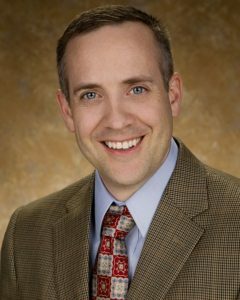 Dr. Hunter earned his Bachelor of Science degree at Brigham Young University in Provo. He then earned his Medical Degree at the Medical College of Wisconsin. Dr. Hunter served his Orthopedic Residency at the University of Rochester Medical Center in New York. He then completed a prestigious fellowship at the OrthoCarolina in Foot and Ankle Surgery in Charlotte, North Carolina where he operated on NBA, NFL, Nascar and MLB athletes as well as weekend warriors. While at the University of Rochester Medical Center, Dr. Hunter served as a resident team physician for the Rochester Amerks (AHL), Rochester Rhinos Soccer and local college and high school teams. In his leisure time, Dr. Hunter enjoys spending time with his wife and six children, cycling, and any and all team sports. He is fluent in German. This entry was posted in Physicians on August 16, 2016 by admin.